Home » Blog » Special volunteer projects – more than cleaning bikes! Special volunteer projects – more than cleaning bikes! Shop Impact: This project increased both the organization of our used parts selection, and the aesthetics of our retail space. 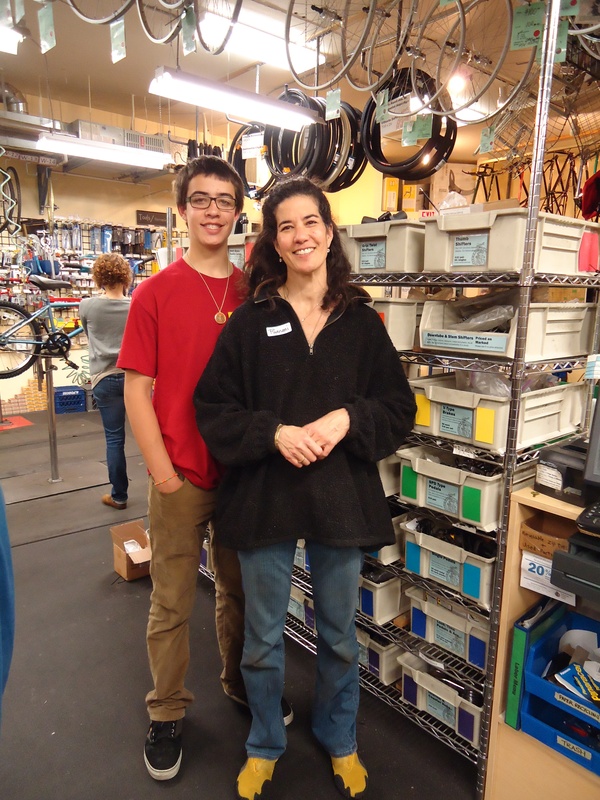 Why do you volunteer with the Community Cycling Center?Alex started volunteering with us after getting involved with a Youth in Action program at his school, and he used to fix up BMX bikes, so the Community Cycling Center seemed like a good fit. Daniel and Yaro came with him to Tuesday Drop-In Nights. Now they all volunteer every Tuesday night! They pick up special projects whenever they are asked because sometimes they need a break from all the bike fixin’. Special Projects: Cleaned the used parts boxes, lots and lots of laminating! Shop Impact: Used bike parts tend to cover every surface with thick, black grime. Now our used parts bins are shining like new! Why do you volunteer with the Community Cycling Center? Pao wanted to learn more about building his own bike, and Tuesday Drop-In Nights are a great opportunity to learn about bicycle mechanics. Puanani, Pao’s mother, joins him at Drop-In Nights and really enjoys working on special projects. Special Project: Organized the rolling drawers underneath the workbenches that hold supplies; labeled recycling, trash and metal bins. 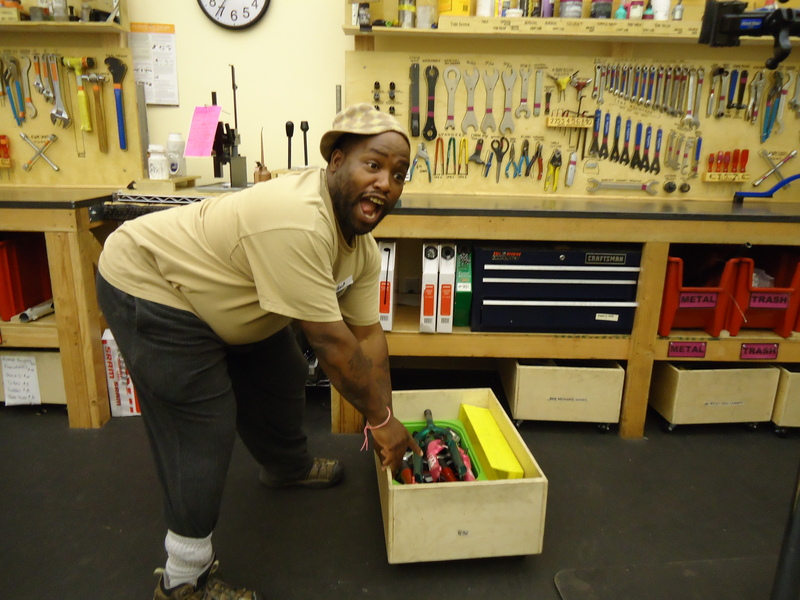 Shop Impact: He increased the storage capacity at each work bench. With the labels, staff and volunteers can quickly find what they need to refurbish a bike. Jerome is now working on coordinating the Rosewood Bike and Safety Fair that is happening on May 19th on SE 162nd and Stark.